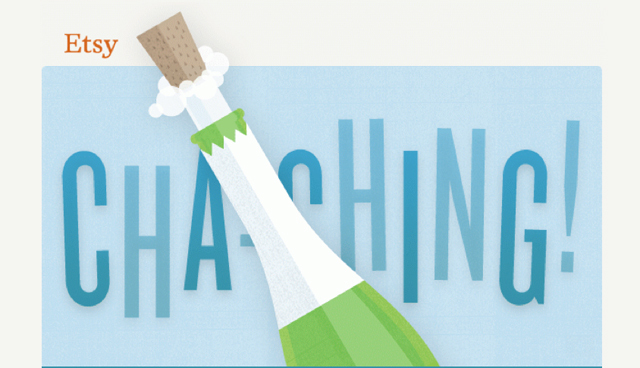 It's hard to believe it has been almost a full month since my last blog post! I was doing so well keeping up with the blog, posting regularly, sharing on social media and then something amazing happened...the shop blew up!! Thanks to all my amazing followers and all the hard work I have put into the business, Christmas was amazing! And no it is not slowing down because the holidays are over. This past weekend my little family of 5 took a trip to Nashville, on the drive out my phone kept going off with orders, my husband thought it was so funny. Everyday we were out there my phone would do the amazing "Cha-Ching" sound. My kids love it now, when they hear it they ask, "Mom, what did you sell this time?" I love it!! So before my shop decided to keep me busy, I spend a lot of time in the fall thinking about how to move my tiny business forward. How to bring in more income to help my little family now that all my kiddos are in school full time. My evenings will be more free now, it's hard to believe but my oldest will start driving herself to practices next week! My shop sometimes feels like a hodge podge of everything; I have dresses, skirts, shirts, gifts, home items, coats, fleeces, oh it's all there! So how do I fix this? Open a second Etsy shop!!! I launched the shop last night and it's already getting exposure (and not just those fans and friends who visited from my Instagram/Facebook posts). The second shop is filled with home decor items. All my towels are slowly moving over there, blankets, pillowcases, and new items like table runners, decorative pillow covers, placemats, soon I'll add garden flags and wall hangings. All items with the option of monogramming/embroidery. The original shop will keep all the clothes and gifts. I am pretty excited about this! Of course the first month or two I will probably be swimming just enough to keep my head above water. But my goal is to stay completely organized and on my schedule I have set for myself. I have started to involve the whole family in the whole business. I have hired (yes, she is getting paid) my oldest daughter to be in charge of my social media. I don't have time each and every day to post on Instagram and Facebook, so she has taken over. She needs the gas money, I need the extra time! My youngest daughter (who turned 11 on New Year's Eve and had the most amazing birthday in Nashville!) helps keep my inventory and items organized in the sewing room. My son (who has grown up in the sewing room) continues to help me when he can (really he just likes to keep me company, but he has chased down the mailman more then I can count!). So the new year has come and gone. I read on Facebook and social media every where about everyone's New Year's Resolutions. I don't make them. Yep, I'm one of them! I have also found things I would like to do better for the year and work on that. One year I wanted to read more, did it! One year I wanted to save more, did it! This year, on New Year's Eve we were in Nashville at the Rain Forest Cafe, celebrating my daughter's birthday and I decided we were going to choose words to describe how 2017 was going to be for us, as a family and personally. It was awesome! Words like Blessed, Faithful, Stronger, Focused, Organized, Fun, Adventurous, and so many more were coming from my family. I loved it! I am pretty excited about our year, what this year holds for our family and what amazing things will be coming from 2017. I hope each and every one of you have started this New year on an awesome foot! Turned a new page and put focus on you and how you can write yourself a great story. 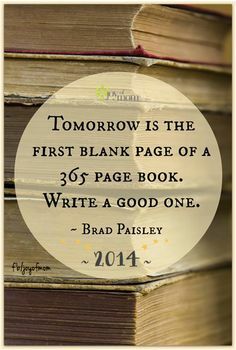 A quote my kids and I liked that we read from Brad Paisley "Tomorrow is the first blank page of a 365 page book. Write a good one." Go out and write your story, make it a best seller, and be proud of the person you are!! Happy 2017 to everyone!! !